With every place that you travel to, you learn that it has something in particular to offer. But, Barmer is one place, situated in Rajasthan which has plenty of things in store for you, if you are travelling there- it is like a mini tour of bucolic Rajasthan. The best months to travel here are from October- March. It’s extremely hot and exhausts you in the summer. During monsoons, it is beautiful and it’s the best during winters. From the forts to the temples to the gardens, this place has it all; topped with the rich heritage and tradition that Barmer has to offer. The major festival of Barmer is in the month of March, and you have the whole village in different hues of colours along with folk music and dance, and art and crafts being exhibited beautifully. Barmer is renowned for the cattle fair organized in the Tilwara as well as the Thar festival which is a big boost to the Rajasthan tourism. Also visit the Siwana fort as well as Juna ruins which showcases inscriptions as old as 1295 AD. Barmer is also known for its traditional art forms and handicrafts along with the tourist destinations that shout out history and culture altogether. Hand block printing on furniture is a speciality here along with the embroidery work and this is a call-out to all the shoppers who commit to real art. Some of the places to visit and a must on your check list include the Balark Sun temple, the Kiradu temples, the Nakoda temple and the Rani Bhatiani temple. The trip to Barmer is very interesting as one passes through rural Rajasthan and can see mud houses with folk motifs. 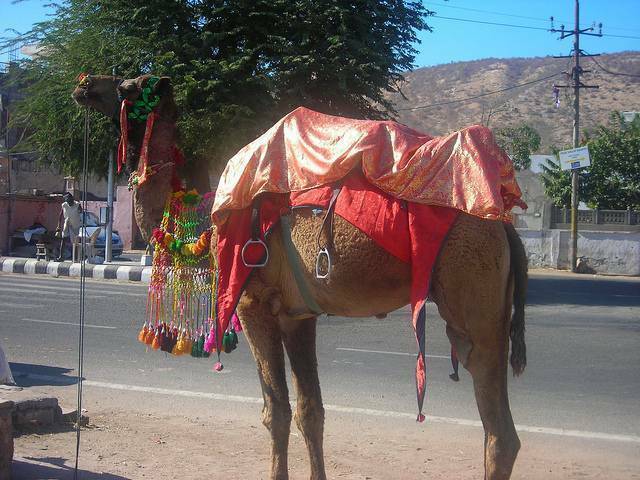 Though the land is barren and climate is harsh, Barmer is known for rich crafts, music and dance.